This petition has been created by Home Land Guards Israel Home Land Guards I. and may not represent the views of the Avaaz community. Home Land Guards Israel Home Land Guards I. Save the Mediterranean Sea and millions of people from a health & ecological disaster, threatened by Noble Energy’s gas rig. We demand that the gas processing rig be located at the actual site of the Leviathan gas well, 75 miles offshore. The existing location planned - only 6 miles offshore will seriously impact the health of both the nearby marine and human populations. We’re concerned that along with the heavy pollution inherent to the standard processing of natural gas to its usable form, there will also be incidents of oil spills and toxic, carcinogenic materials dumped to sea, both of which will irreversibly pollute the sea, beaches and the water produced in the desalination plant, only several miles away. You have the power to save children of the Mediterranean coast from irreversible health damages caused by irresponsible gas and oil developments by Noble Energy Inc., one of the most polluting corporations in the world. We demand transparency about the risks. We are facing an extreme, irreversible health and environmental disaster to the Mediterranean Sea, with severe implications for residents along the coastline. Residents are fighting the vast resources of Noble Energy and its partners, which successfully established strong connections with leading politicians worldwide. The gas and oil rig is about to be built using outdated technology, only 6 miles from shore, that will release enormous amounts of toxic & carcinogenic materials to the air and sea. 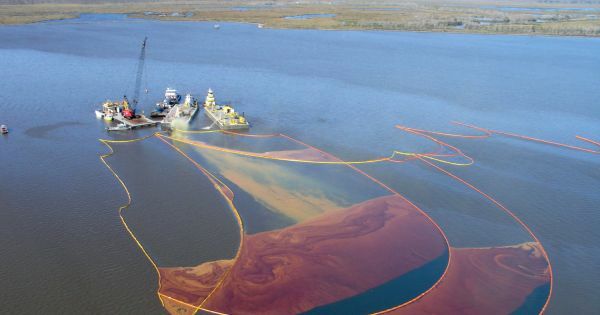 Potential incidents of oil spills will cause irreversible damage to the sea and beaches. Noble Energy’s dubious history with malfunctions, pollution and oil spills in the United States reinforces our concerns. We request that the rig be located above the actual gas well, 75 miles offshore, using FPSO - a floating rig, best available technology used worldwide, that offers the safest, least polluting oil and gas processing.